It’s the loveliest time of year to visit the Oregon coast near The Mill Casino Hotel • RV Park. The flowers at Shore Acres State Park are in bloom and the riot of color is a sight to see. Bring your sweetheart or the whole family out to visit the park and stay for the weekend at The Mill Casino. It has plenty of luxury accommodations to meet your needs. Tides are favorable also for clamming, and the beach is ripe for the picking, so come get your clam on in beautiful Coos Bay. Peter Noone is a talented entertainer who has been delighting audiences since the age of 15. It was at this age that he achieved international fame as “Herman,” lead singer of the legendary pop band Herman’s Hermits. Herman’s Hermits have sold over fifty-two million recordings featuring singles including “I’m Into Something Good,” “Mrs. Brown, You’ve Got A Lovely Daughter,” and I’m Henry VIII, I am.” Come enjoy the classic English pop stylings of Herman’s Hermits at The Mill Casino Hotel • RV Club. They will perform on June 9 at 6 p.m. and 8 p.m., and tickets for both performances go on sale in Ko-Kwel Gifts on April 10. Cost is $30 for premium seating and $25 for standard seating, with a $5 Mill Club discount. Comedian Christopher Titus is bringing his newest show, “Amerigeddon,” to The Mill Casino near Coos Bay, Oregon. Titus has released seven ninety-minute albums in as many years and has six comedy specials running on Comedy Central. With his style of ‘hard funny,’ Titus is known for leaving no stone unturned and he will have you exhausted from laughter by the end of his set. Performances will take place in The Mill Casino’s Salmon Room on June 30 at 6 p.m. and 8 p.m. Tickets will go on sale April 24, in Ko-Kwel Gifts for $20 general admission. Mill Club members receive a $5 discount. 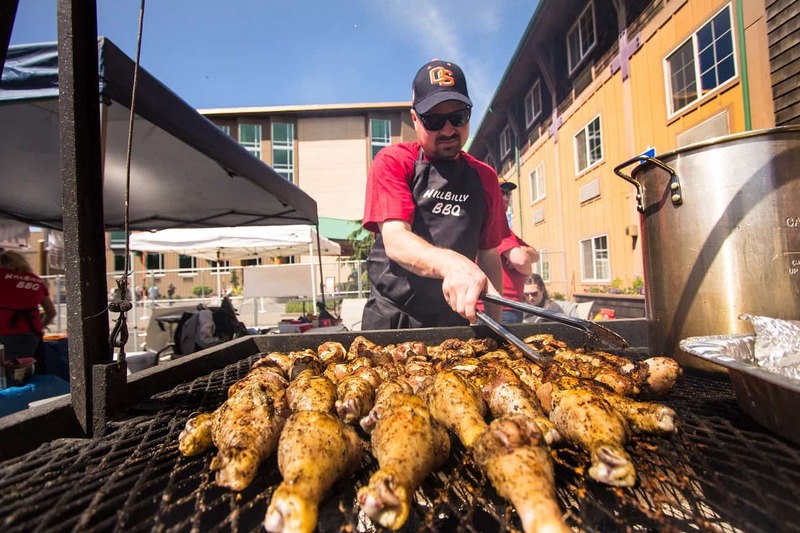 On May 25-27, The Mill Casino • Hotel & RV Park will host an event that has the fixings to be finger-licking good! Get ready for three days of tasty BBQ, a beer garden, live music performed by the Blue Owens Band, Lisa Mann and Hank Shreve, and much more! 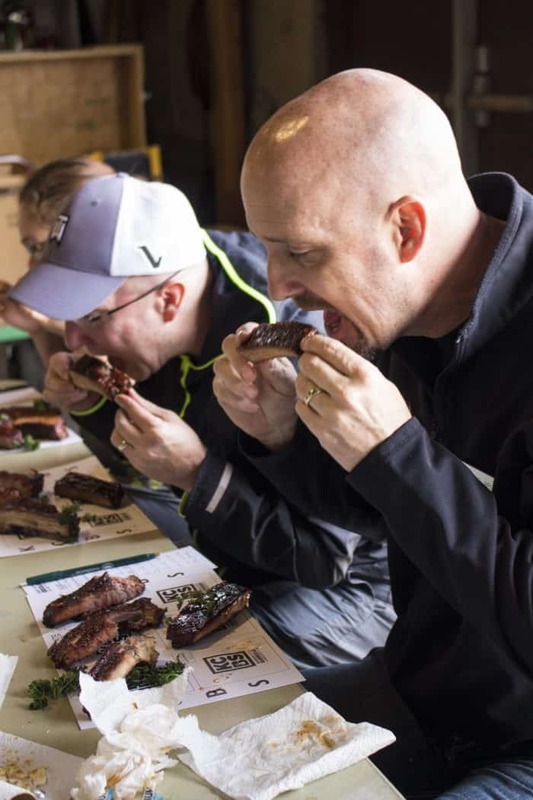 In this family-friendly, Kansas City BBQ Society (KCBS)-sanctioned event, 35+ teams will compete for the title of “Best BBQ.” Experienced judges (including some of The Mill Casino’s very own guests!) will rank each team’s BBQ in categories such as pork, chicken, brisket and pork ribs. If you will be a guest of The Mill Casino that weekend, you may register to take the judging course here. The Mill Casino is bringing back the Jim Monihan Mac ‘N’ Cheese Challenge for its seventh year! Competitors will turn in their Mac ‘N’ Cheese at 2 p.m. on Sunday, May 27. In addition, Hole in the Wall BBQ and The Mill’s Grab N’ Go will be set up with full meals for attendees looking for pulled pork sandwiches, ribs, sides, beverages, ice cream and more. The admission fee is $5 per day, per person aged six years and older. Any attendees five years and younger may enjoy the under-21 fun for free! Because this event is such a good time, The Mill Casino Hotel will sell out to retail guests so book your room now. The RV Park is offering a special rate of $40 per night, plus tax, for inside spaces and $60 per night, plus tax, for bayside spaces during the event weekend. Reserve your space now for a weekend full of delicious bayside BBQ.